There are many state approved classes in Pennsylvania that are available for those who would like to work as a certified nursing assistant in the state. One needs to successfully pass and finish the school training before being able to challenge the state competency exam which leads to a nurse aide certification. There are requirements however that one should comply with before one can be allowed to enroll in a program. How Much Does a Nursing Assistant Earn in Pennsylvania? The average CNA worker can expect a yearly salary of about $28,000 in the state of Pennsylvania. The rate can be higher or lower depending on your length of experience, location, and type of employer. Employment can be acquired in nursing homes, hospitals, nursing facilities, and other long-term care institutions. There is a projected growth of demand for healthcare workers especially nursing assistants until the next few years and one can expect to find a job after he finished the training program. 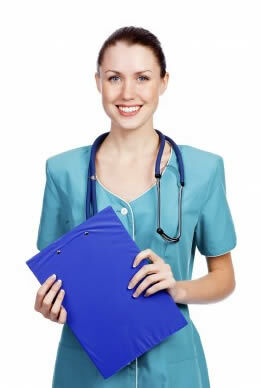 What Are the Job duties of a Certified Nurse Aide in PA? Nursing assistants work under the supervision of registered nurses and licensed physicians and provide personal care to patients. Their tasks include taking and recording the patient’s vital signs such as body temperature and heart and respiratory rate; cleaning and bathing the patient; preparing a patient’s room; assisting in the patient’s toileting; preparing meals; infection control; assisting patients with their physical exercises; ambulation and transportation; and promoting resident’s rights and independence. They also help the patient’s family by informing them regarding health and medical issues. What Does a CNA School Teach In Their Training? A nurse aide training program therefore seeks to provide the best possible education which will allow their students to effectively carry out such tasks once they are employed. The subjects which are generally taken up in nursing assistant programs involve medical terminology, infection control, basic patient care, medical ethics, communication skills, anatomy, physiology, emergency procedures, and taking of vital signs. They also learn about hygiene, nursing theory, nutrition, restorative care, and psychosocial care. The training program and the curriculum should be approved by the Pennsylvania Department of Education in order for one to be eligible for the state competency examinations. Nursing aide training programs are given by high schools, medical facilities, hospitals, and nursing care facilities in the state of Pennsylvania. There is one which is being offered by the American Red Cross in Philadelphia, Pennsylvania and the program runs for about 4 weeks. The training costs about $1,500 and it includes First Aide training, textbooks, and nursing supplies. What Are the Nursing Assistant Requirements in Pennsylvania? The requirements can differ in various facilities and training centers which offer the course but the most common is the state and federal background check. One should be able pass a Pennsylvania State Police criminal background check before he enrolls at a program. He should not have any convictions in crimes which involve theft, drug, and violent crimes which will definitely affect his chances of getting employment after he graduates from the course. One should also be free from communicable diseases such as Tuberculosis by undergoing tests. In addition it is also important to pass the physical exam which is conducted by the school in order to determine if he would have the capacity to perform nursing aide work effectively. Click this link to read more about CNA certification requirements in Pennsylvania.